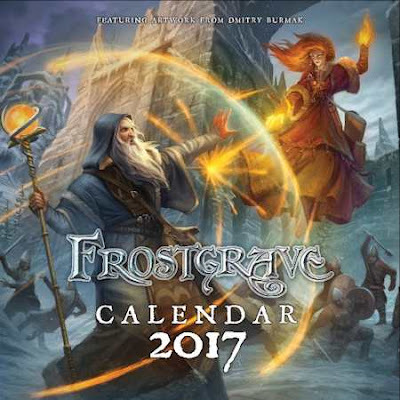 A beautifully illustrated wall calendar featuring 12 favourite pieces of Frostgrave artwork, all major UK, US and Canadian Holidays, as well as a notes section and year overview for 2017-2018. Showcasing 12 favourite pieces of Osprey artwork from recent publications, including works by illustrators such as Peter Dennis, Graham Turner, Steve Noon and Howard Gerrard. 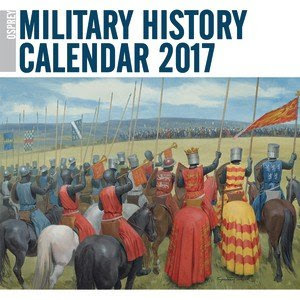 This beautifully illustrated calendar covers all eras of military history and is the ideal gift for the Osprey enthusiast or more general military history fan.